From starting a volunteer service to fill a community need in high school and founding a small business to provide affordable transportation to her undergraduate classmates, to now leading Aavia to improve women’s health and wellness, Aagya Mathur is consistently bridging gaps and solving inefficiencies. 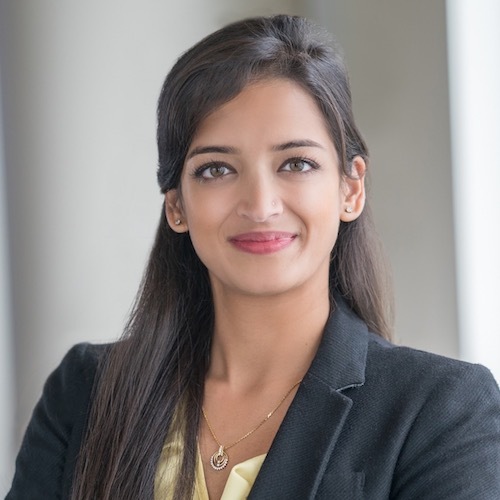 Through personal and professional experiences, she found her passion at the intersection of healthcare, innovation, and analytics-driven insights. During her consulting career, she worked with various clients to improve patient experience and medication adherence. However, she found she needed to be closer to the end-user to have the kind of impact she knew she could have. “If you don’t listen to and work with the end-user, the solution is not going to be something they like or something that’s actually going to help them,” Mathur said. “If you can’t fulfill those two things, why are you even developing the solution?” The Aavia team works with women at each step of development to rapid prototype a solution that empowers women to take their Birth Control Pill on time, every time. Aavia’s pocket-sized smart device contains patent-pending sensor technology that recognizes count and position of Pills in her original pack and sends notifications to the user’s phone until she actually take it. Mathur graduated from MIT Sloan (MBA) and University of Virginia (Neuroscience BA & Biomedical Engineering thesis). She enjoys dancing, being active, and traveling.